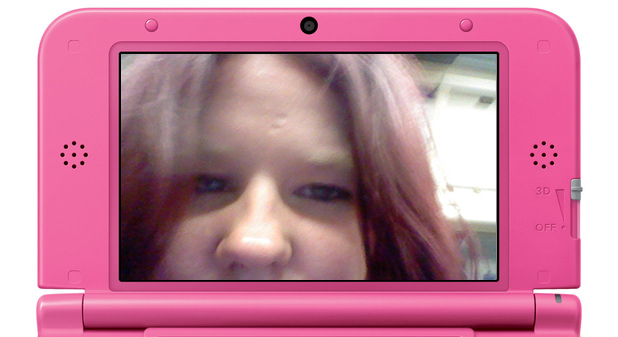 Right so we know a girl can use the 3DS to game. Gaming is, after all, the 3DS’ primary purpose, and with such gems as Theatrhythm and Luigi’s Mansion available on the console its a given that a fair chunk of any 3DS user’s time on the device will be spent indulging in this pursuit. However, as every girl knows, gone are the days when gaming consoles were for gaming and gaming alone. Ever since the early 90s, when consoles like the Sega Mega CD were introduced that let you play audio CDs in addition to games, consoles have increasingly been evolving into multimedia stations. In this respect the 3DS is very much a product of its time. First of all is a point thats sure to wind up the male populace in general (and SonicYoda in particular) ; the fact that the 3DS makes a fantastic aid to applying your make-up on public transport! Whether you’re on the tube, bus, train etc, the illuminated mirror combo that results from the device’s inner camera and the 3DS’ top screen simply can’t be beaten, especially when you take the fact you can adjust the upper screen’s hinge. The ideal makeup mirror! This is a tool I’ve made use of on many’s a trip to DS:London and 3DS meets in general. And I’d be surprised if I was the only one. One downside is that you do sometimes get funny looks from other commuters. But, heck, I get funny looks for pulling out my 3DS fullstop. In any case they usually get bored and stop glaring once it becomes obvious to them what you’re doing. 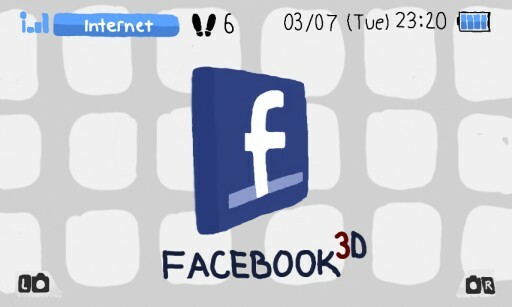 Llerom26’s awesome rendition of how it would look if there was actually a Facebook app on 3DS… Drawn using Colors 3D! OK, so the 3DS browser isn’t great. It really isn’t. But, at the end of the day, it works (just about). And could prove a lifeline if you’re, say, stuck out in South Korea (or some other random place), your mobile has run out of battery and there are no internet cafés about. How else are you going to carry out your daily pilgrimage to your ex’s Facebook page make a Facebook status update or Tweet about your predicament? Myself? I can’t afford a fancy smartphone. As a result, I must say, before I got my Nexus 7 tablet I relied on my 3DS pretty much exclusively for internet browsing on the go. Yes loading takes ages. Yes you can’t copy or paste. Yes there are a plethora of other disadvantages I haven’t mentioned. But, you know what? Internet browsing is there. And I’m really glad it is. 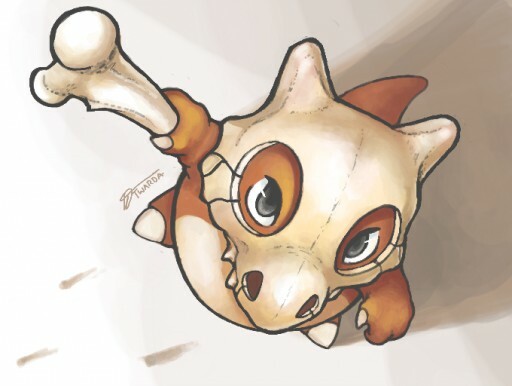 This epic Pokémon fan-art ; ‘Cubone 3D’, goes to show what can be done on a 3DS using Colors 3D!. Image by Twarda. Every time I buy a new portable device I always have a small dream, in the back of my mind, of being able to use it as a handy little alternative to the PC/graphic tablet combo for producing digital art. What better way to pay homage to my favorite video games serieses, such as Sonic and Tekken, than by whipping up some fan-art depicting the characters of the series in unusual settings? Thus far, the only device thats come close to allowing me to do this is my trusty 3DS (paired, ofcourse, with the awesome app Colors 3D!). What sets the 3DS apart from the other devices I’ve tried, such as the aforementioned Nexus 7 and the iPhone, is the type of touchscreen it uses ; known as a resistive touchscreen. While capacitive touchscreens (which are what the other devices mentioned possess) need to be controlled either using the user’s finger or special styluses (which are always bulky), resistant touchscreens can be stimulated using just about anything. Which is why the 3DS stylus has such a narrow tip, making it a joy for artists. 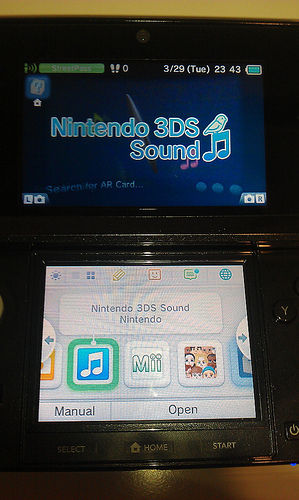 The 3DS Sound Recording tool certainly has its uses! I can’t tell you how many times I’ve been out and about and thought up song lyrics and a tune and thought “I wish I could just record this”. Well, since getting my 3DS thats exactly what I’ve been able to do. For ‘comedy effect’ I even have the option of making my voice sound like a budgie, an electric fan or a trumpet. Yes… Perhaps more usefully its also possible to change the speed and pitch of the recording. Just what every rookie diva needs! The 3DS pedometer, in its current use, is limited. First of all I don’t think the 3DS’ battery life gears it up to be used as a pedometer by people serious about fitness ; its just runs out too quickly, even in sleep mode. If you were to charge it up then leave it on all day the battery would be depleted by the end of it. 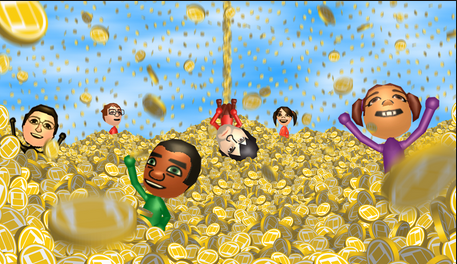 Secondly you only get rewarded for the first 1000 steps you take (which will net you the daily maximum amount of playcoins : 10). When you compare this with the NHS’ recommended daily step count of 10,000 in order to attain fitness you can see that the 3DS falls quite short! Buuut. The 3DS is a good way to get you started. I was feeling really, really lazy last springtime (like, even lazier than my usual lazy self). In hindsight I don’t know if I would have moved at all. Except that I was playing Sonic Generations on my 3DS at the time, and to unlock missions costs 5 Playcoins a time. In any case fitness fans can always team the 3DS pedometer up with other pedometers, such as FitBit or the mighty Pokéwalker, and simply turn their 3DS off once it gets to 1,000 (that or charge at regular intervals) to ensure maximum gains. what’s his name? I’ll change the wording!